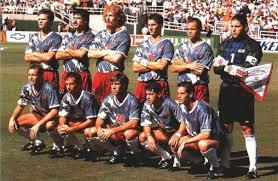 The 1994 World Cup, was held in the United States. The tounmament was held in nine cities across the United States. All stadiums had a capacity of at least 53,000. The venue used most was the Rose Bowl in Pasadena near Los Angeles, with eight games, among them the final, the third-place game, a semi-final and one game in the round of 16. The least used was the Pontiac Silverdome near Detroit, the first indoor stadium used in a World Cup, with four Round 1 games. The Pontiac Silverdome was also the only venue to not host any knockout round matches. Climatic conditions across the country made playing difficult at times andinthe first round some groups required to travel greater distances than othes. 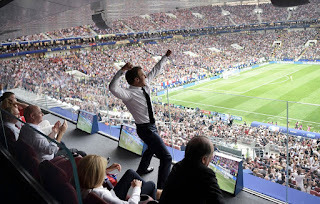 Despite this, the total attendance for the tournament was almost 3.6 million, which remains the greatest in World Cup history. The opening ceremony of the World Cup was held at Chicago's Soldier Field. Oprah Winfrey was the Master of Ceremonies and introduced a number of acts including Diana Ross, Daryl Hall and Jon Secada. The ceremony did not go without mishap as Ms Wimfrey fell when introducing Dian Ross and special effect to open the games when wrong. 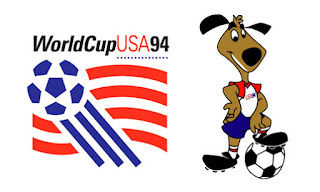 The 1994 FIFA World Cup featured 24 teams with one place reserved for the host nation, United States, and one place for the defending champions, Germany. The remaining 22 places were determined by a qualification process, in which 147 teams, from the six FIFA confederations, competed. Several countries were excluded because they were under UN sanctions. Chile were banned for previous unsporting conduct. A total of 130 teams played at least one qualifying match. A total of 497 qualifying matches were played, and 1446 goals were scored (an average of 2.91 per match). 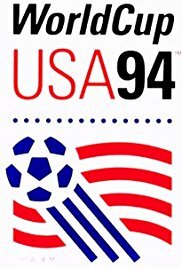 The following 24 teams ualified for the final tournamentːUnited States (hosts) , Germany (defending champions), Brazil, Argentina, Belgium, Italy, Bulgaria, Republic of Ireland, Netherlands, Romania, Spain, Russia, Cameroon, Morocco, Nigeria, Bolivia, Colombia, Mexico, Greece, Norway, Sweden, Switzerland, South Korea, and Saudi Arabia. Russia was competing independently for the first time after the dissolution of the Soviet Union and defending champions West Germany were united with their East German counterparts, representing the unified Germany for the first time since the 1938 World Cup. Each team had a squad of 22 players. Greece, Italy, Saudi Arabia and Spain were the only countries who had all their players coming from domestic teams, while the Republic of Ireland and Nigeria had no players from domestic teams. The format of the competition remained the same with 24 teams qualified, divided into six groups of four. Sixteen teams qualified for the knockout phase: the six group winners, the six group runners-up, and the four third-placed teams with the best records. Following the defensive display at Italia '90, FIFA introduced three points for a win (previously two) to encourage attacking football. Germany, Brazil, Argentina, Belgium, Italy and the United States were seeded for the final draw. The Opening game was between Germany and Bolivia at Chicago/ Soldier Field in front of 63117 spectators. Germany won 1 goal to nil. The official ball was enveloped in a layer of polystyrene foam which reduced surface friction so the ball could travel faster through the air. 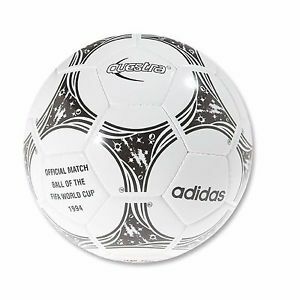 The Questra gave better ball control and felt softer to the touch. The ball was developed at the adidas center for ball development in France, followed by test games in France, Germany and the USA with professional players, amateurs and youth teams. The Questra ball was manufactured from five different materials with a flexible but durable outer layer made from polyurethane. One hundred and forty one goals were scored at the competition with an average of 2.7 per match. 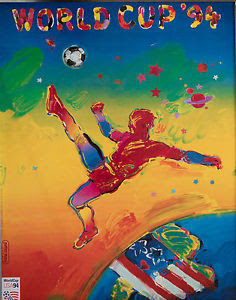 Honours for the top goals scored (6) was shared between Oleg Salenko (Russia) and Hristo Stoichkov (Bulgaria). The former player set a World Cup record by scoring five goals in one game in Russia's 6-1 win against Cameroon. The official mascot for the 1994 FIFA World Cup TM was Striker the World Cup Pup and wore a red, white and blue soccer uniform with the words "USA 94". 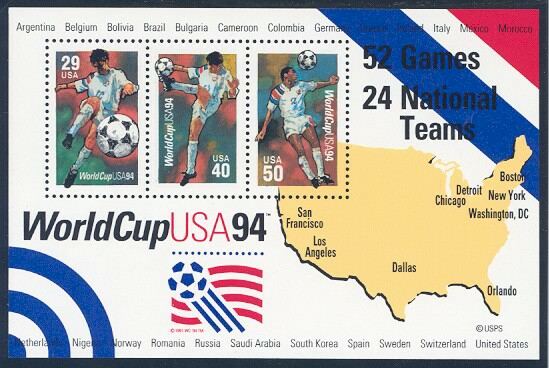 The US Postal Service issued three World Cup stamps in 1994. The 29-cent first-class domestic stamp featured a player kicking the ball, and the 40-cent international rate stamp had a player trapping the ball. The player on the 50-cent international air mail stamp depicted heading the ball. The 50-cent denomination matched a half-ounce international airmail letter rate, making mailing letters back home much easier for the many international athletes, coaches, and officials in the United States for the World Cup events. The stamps were designed by Michael Dudash of Moretown, Vermont and printed in the photogravure process by J.W. Fergusson & Sons for Stamp Venturers, Inc.
Panini again brought out a new album and set of stickers for the 1994 FIFA World Cup TM. In Group A, Romania went through as group winners, with Switzerland and the United States as one of the best third-placed teams. Columbia failed to qualify. Following the tournament, Colombian defender Andrés Escobar was shot dead on his return to Colombia, after his own goal had contributed to his country's elimination. The murder of Andrés Escobar tarnished the image of the country internationally. Escobar himself had worked to promote a more positive image of Colombia, earning acclaim within Colombia. Escobar is still held in the highest regard by Colombian fans. In Group B, Brazil and Sweden proved to be far stronger than Cameroon and Russia and went through to the next round. This was despite a 6 -1 thashing of Cameroon by Russia and for the first time a player had bagged five goals in a single game. Oleg Salenko (Russia) went on to share the honours as the tournament joint-top scorer with six goals. , having previously bagged one against Sweden. 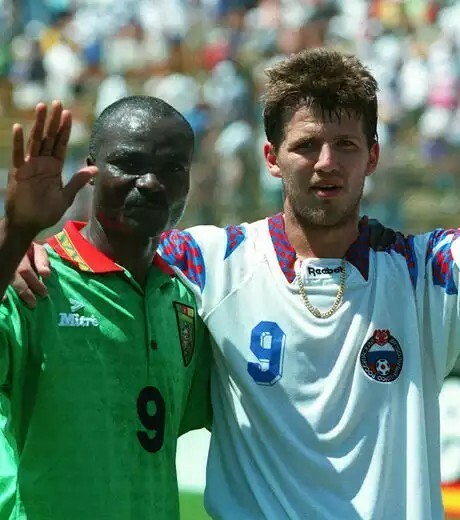 Roger Milla (Cameroon) also set a record by becoming the oldest player (42 years old) to score a goal. In Group C defending champions Germany and Spain progressed to round two. In a hard faught Group D, Nigeria and Bulgaria won through with third place Argentina qualifying. 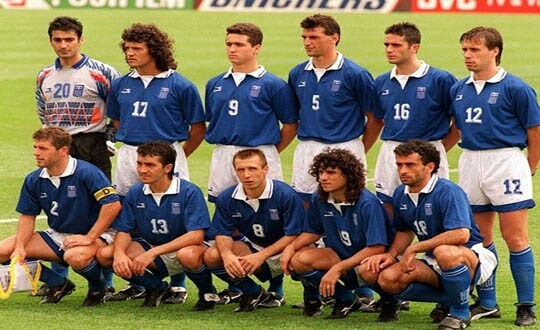 Bulgaria was one of the biggest surprises of the tournament and Hristo Stoichkov shared the top goal scoring honours with six goals. Maradona only played with Argentina during their first two games,. After it was discovered he had tested positive for ephedrine he was expelled form the competition. All four teams in Group E finished with the same points and same goal difference. The final results meant that Mexico won the group on goals scored, Republic of Ireland and Italy also progressing having finished with identical records. In Group F, another tie between the top three teams saw the Netherlands and Saudi Arabia top the group jointly with Belgium in second place on goal difference. 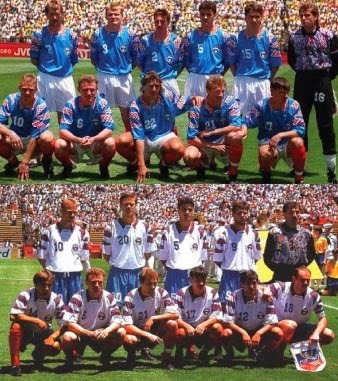 In the round of 16, of the 1994 FIFA World Cup TM finals , the top two teams from each of the six groups, as well as the best four third-placed teams, qualified. The four third-placed teams played against four of the group winners, with the remaining two group winners taking on two of the group runners-up; the remaining four runners-up were paired off against each other. The winners of the eight round of 16 matches were then paired together in the quarter-finals, the winners of which played against each othempions r in the semi-finals. Ties in each round were played over a single match and in the event scores were level after 90 minutes, the teams would play an additional 30 minutes of extra time, to determine the winner. If the scores remained level after extra time, the teams would contest a penalty shootout. The final eight were Romania v Sweden; the Netherlands v Brazil; Bulgaria v Germany; and Italy v Spain. 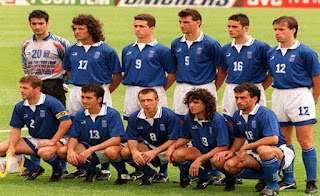 Eventually it was Italy and Brazil who battled it out for World Cup homours in the 1994 World Cup TM final. The game was played in front of 94,194 spectators at the Rose Bowl Stadium in Pasadena, California. In 90 minutes of play, both teams failed to produce a goal. After 120 minutes, the game was still goalless and for the first time, the World Cup was decided by a penalty shoot-out. 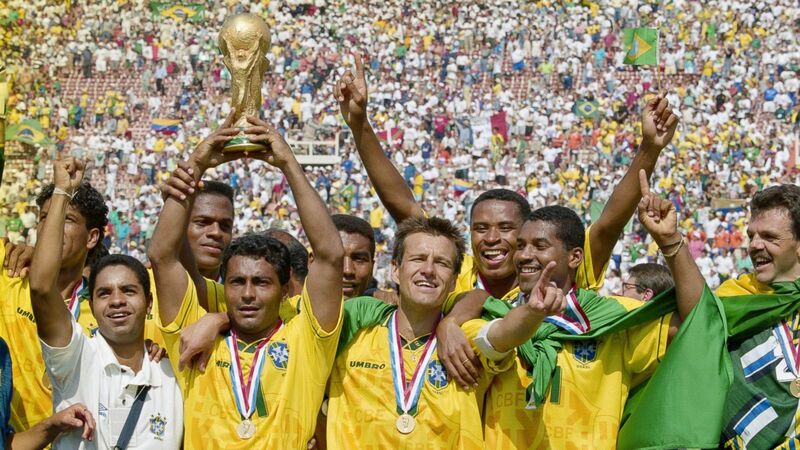 Brazil beat Itlay 3 -2 and were crowned FIFA Wold Cup TM Champions for 1994. 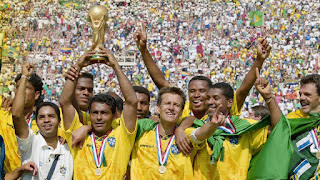 The victory made Brazil the first nation to win four FIFA World Cup TM titles.